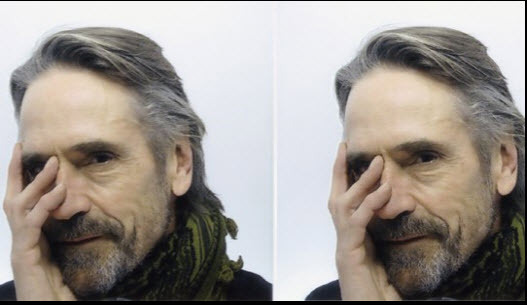 Last Monday in Pleasantville, New York, Jeremy Irons made a Q&A appearance with Jacob Burns Film Center Board President Janet Maslin for a screening of the 1982 film, “Moonlighting.” In scheduling, he and Ms. Maslin wanted to offer something that people might not have seen before. Conversely, only too happy to defer on the obvious choice of “Reversal of Fortune,” the Academy Award winning actor summed up in one word whether he’s spent enough time over the years talking about Claus Von Bulow. “Yes,” he said as if exhausted, but he also feigned a bit of denial on all the years that have passed since Moonlighting opened 27 years ago. “All I could see is my son up there,” he joked. Just about coinciding with the imposition of martial law in Poland, the film follows four Polish workers illegally renovating a home in London. The political implications were definitely interesting to him, but he said, “There’s nothing liking working with a director on a project that’s really close to his heart,” he said of the films polish director Jerzy Skolimowski. It was also Mr. Skolimowski’s actual home that was renovated in the film, and as a bit of a handyman, the film appealed to Mr. Irons on two levels. “I was drawn to his enthusiasm and his house,” said Irons. The film also represented the 1st time that once his name was associated with it, the money began to roll in. Still, Moonlighting required a frantic pace to keep up with the actual events, which suited Mr. 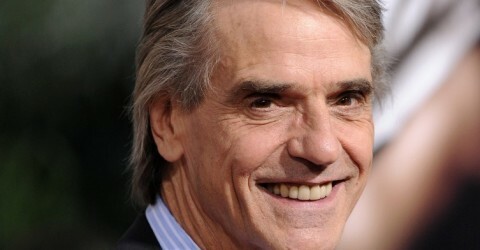 Irons just fine, as he hates “top heavy films” that take forever to shoot. And he didn’t exclude himself when it came to keeping things moving. In one particular scene, he needed to slick back his hair for effect but no gel was readily available. He stuck his hand into a nearby puddle and the scene quickly ensued. “The crew was very impressed,” he said, and they would go on to complete the film in only 4 months. In the end, he says, “that’s what I wanted, and films like Dead Ringers came easily a calling but that’s another film they passed on for this event. He remembered his own uneasiness the last time he was presented with watching the thriller. Sitting in for the credits, he said to himself, “I think I’m going to have a drink,” and that’s what he did without returning. Otherwise, he hasn’t limited his roles to those of English speaking. Having done several films in French to the appreciative approval of Ms. Maslin, he shared the secret to its mastery. “If you speak and sound very, very rude you’ll sound just fine,” he says he was instructed. Currently appearing on Broadway in “Impressionism,” he’s looking forward to heading home when the run ends in the very near future, but he saw no reason to designate a solitary home base as a globe trotting actor. “Home is where someone misses you,” he concluded.